It’s difficult to reflect on twelve weeks of rapidly changing work, completed for two different teams, and summarize it in a short blog post. 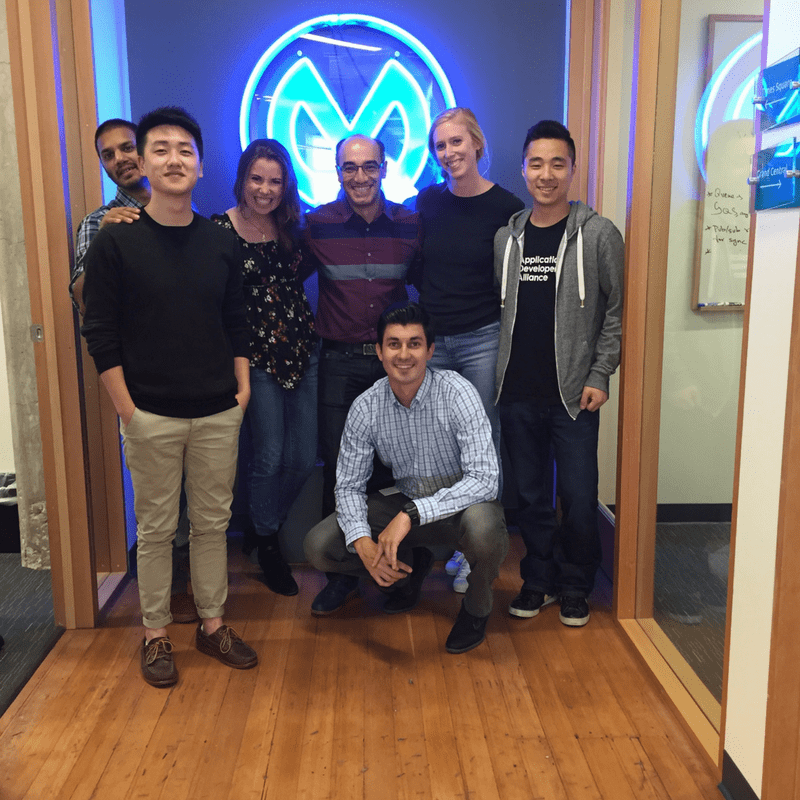 Throughout this summer, I’ve witnessed firsthand the brainpower and creativity behind the operation, the stimulating and efficient nature of the team structure, and the vast potential of the market space that MuleSoft is trying to fill, but mainly I’ve had the opportunity to work alongside some incredibly kind and bright individuals. When applying to MuleSoft, I was drawn in by the employee quotes on the website such as: “At MuleSoft, I get three of my favorite things every day: great challenges, awesome people, and chocolate-covered almonds.” My offer letter promised Waffle Wednesdays (too bad that’s not every Wednesday). My first “assignment” was attending CONNECT 2016, MuleSoft’s premier conference for digital business. Need I say more? Well, that was only the start. As a math major and CS minor, but a “people person” with a business inclination, I’ve been attempting to figure out how to walk the line between a technical and a more “business-y” role. For me, who had a marketing internship in a financial firm last summer, marketing at a highly technical company seemed like the appropriate place to continue my career path. I divided my time between the Product Marketing and the Digital Marketing teams. Instead of being overwhelming or unnecessarily confusing, this arrangement allowed me to access a wider variety of topics and work with a broader array of individuals. I was able to mix high-level brainstorming projects and day-to-day assignments with deadlines. On the product side, I focused on developing a new beta testing program for the company. I began by researching best practices, studying different beta portals, and attending webinars on recruiting beta testers and nurturing a beta testing community. After creating several iterations of the program proposal deck, I met with five PMs to gather feedback and seek validation. I wanted to make sure that their needs and vision aligned with the program that we were creating. Meeting with other PMs to close down the beta projects that were currently open gave me further insight into ways we could improve how our early access program is now being run. Finally, I created a program proposal deck and process flow (mapping company objectives and customer value to the appropriate test), which my manager used in her final proposal to the CPO. The entire process, and especially brainstorming with my manager, reinforced how to take an enormous assignment and outline the broad program, but then break it down into small, manageable components. After each iteration, the program seemed pretty comprehensive, but each modification made it that much more robust. Now, after I leave, each aspect of the program will continue to be built-out and rolled-out. With the Digital team, my projects were more diverse, but the main ones fall into three principal categories – events, emails, and industry mapping. Events refer to setting up all of our events properly in Marketo, Salesforce, and C-vent to eliminate process errors and ensure that we are properly tracking events and considering first-touch and multi-touch attribution. I also created extensive documentation to make sure that we get everything properly tracked initially so that no one will need to make future retroactive modifications. For the emails, I created Creative Team-approved templates with tokens (to make emails cloneable with no modifications) that now work in all email clients. I also re-read several of our sequences of email nurtures not only to check grammar and links but also to refresh their messaging and to leverage new assets. Finally, MuleSoft was identifying over 2,000 industries across its leads and accounts, which eliminated our ability to report accurately, build segmentation, or manage/route leads in the future. As a solution, I architected a mapping of these industries into 15 broader buckets, which will allow for seamless reporting and flexibility to work with sub-industries in the future. Despite the variety of these projects, the common theme is scalability. I provided groundwork that can be used in the future. Along the way, I developed numerous tangible and intangible skills that I cannot wait to utilize in later jobs. I knew upfront that I was applying to a successful and fast-paced company, but I didn’t realize that I would have the opportunity to work under two fantastic managers. Especially that I would get the chance to have lunch with a different executive every Wednesday, that I would have ample opportunity to learn more about the product at a technical level, and that I would leave feeling like I’d been a true member of a team. The people here are what made my experience truly incredible. Applications I got to learn and use! The work that I’ve been able to complete and the conversations in which I’ve been able to engage provided me with much more clarity about the balance between the technical and non-technical that I seek and have prepared me for whatever internship comes next. Always leap at the chance to be a Muley! Great article seems like you learned a lot and the company culture seems nice. Funny I ran into this while looking to intern myself. May I ask what steps you took to land your internship here? Since Ashley’s internship ended, I can answer this for her. She was part of the same digital marketing team as I am currently and she applied online, went through the interviews, and found out that it was a great fit for the both of us.